The sixth and final chapter of “The Railman Throughout Dayton” history tells us about how the Railman came to be. Back in the early 1800s, there were train tracks situated between our building and what is now the 2nd Street Public Market. We used to get all of our deliveries from the trains that came down those tracks. 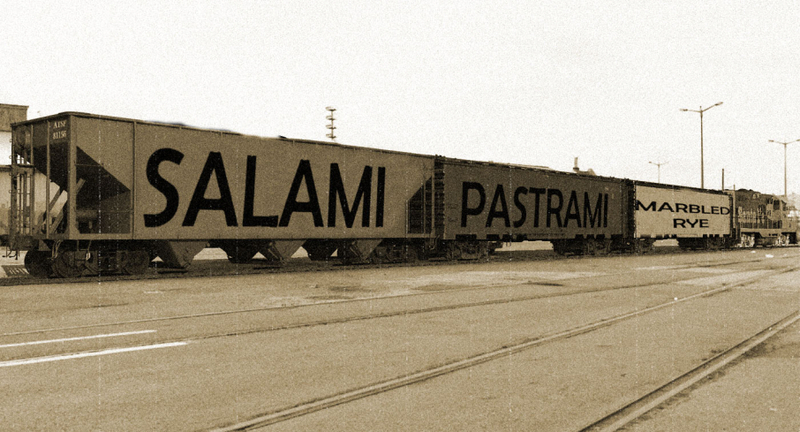 One fateful day, the train pulled through what is now our parking lot, and the boxcars were labeled in a peculiar order, and the chef at the time took notice. In honor of the Railman and the city of Dayton, we are serving the Railman with french fries and a fountain drink for $9.99 today! Soups today are Loaded Baked Potato, Cream of Mushroom, and Chicken & Dumpling along with Chili, Chicken Noodle, and Lobster Bisque.